Inspired by the colors of the rocks and the flow of the water in a mountain stream, Pebble Brook utilizes slipped-stitch cables to highlight the color changes in variegated yarns and give this cowl a sense of movement. 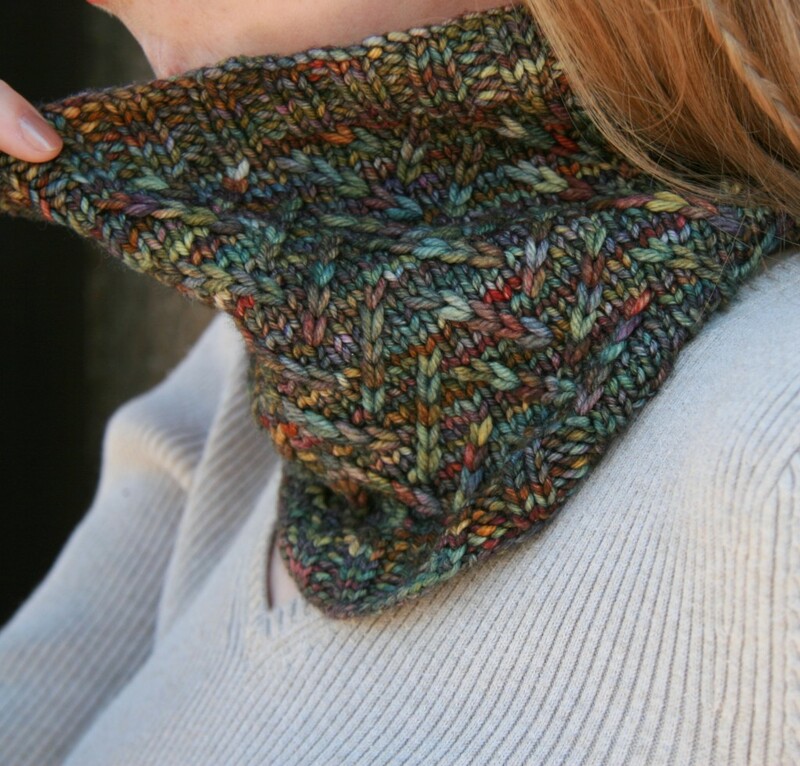 The cowl is knit in the round from the bottom up and the size is easily adjustable. Pebble Brook is a quick knit perfect for gifting! Cabling without a cable needle really makes it fly! Pattern contains both charted and full written instructions as well as instructions on changing the size of the cowl. 19 sts and 28 rows / 4 inches in stockinette stitch, knit flat and unblocked. Gauge is not crucial since this is not a fitted garment but changes in gauge can affect both the size of the cowl and the amount of yarn required to complete it.